Brazil's Tucuruí Dam provides valuable lessons for improving decision-making on major public works in Amazonia and elsewhere. 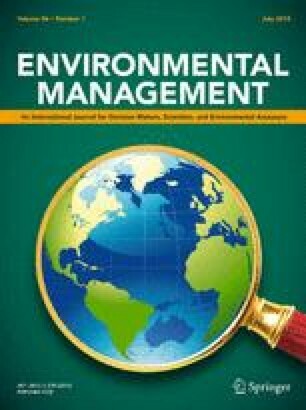 Together with social impacts, which were reviewed in a companion paper, the project's environmental costs are substantial. Monetary costs include costs of construction and maintenance and opportunity costs of natural resources (such as timber) and of the money invested by the Brazilian government. Environmental costs include forest loss, leading to both loss of natural ecosystems and to greenhouse gas emissions. Aquatic ecosystems are heavily affected by the blockage of fish migration and by creation of anoxic environments. Decay of vegetation left in the reservoir creates anoxic water that can corrode turbines, as well as producing methane and providing conditions for methylation of mercury. Defoliants were considered for removing forest in the submergence area but plans were aborted amid a public controversy. Another controversy surrounded impacts of defoliants used to prevent regrowth along the transmission line. Mitigation measures included archaeological and faunal salvage and creation of a “gene bank” on an island in the reservoir. Decision-making in the case of Tucuruí was virtually uninfluenced by environmental studies, which were done concurrently with construction. The dam predates Brazil's 1986 requirement of an Environmental Impact Assessment. Despite limitations, research results provide valuable information for future dams. Extensive public-relations use of the research effort and of mitigation measures such as faunal salvage were evident. Decision-making was closely linked to the influence of construction firms, the military, and foreign financial interests in both the construction project and the use of the resulting electrical power (most of which is used for aluminum smelting). Social and environmental costs received virtually no consideration when decisions were made, an outcome facilitated by a curtain of secrecy surrounding many aspects of the project. Despite improvements in Brazil's system of environmental impact assessment since the Tucuruí reservoir was filled in 1984, many essential features of the decision-making system remain unchanged.